Late Bronze Age (1500-1100 BC) was the time the Hittite Empire existed, with its capital Boğazköy-Hattusha. What importance Gordion may have had during this period is unclear. 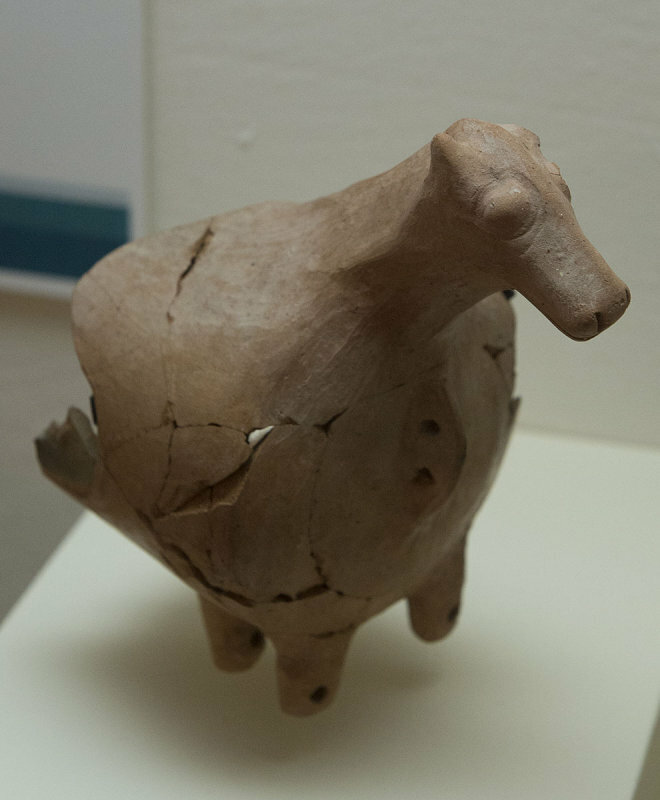 The pottery on display, wheel-made and mass-produced, is much like that of other Hittite centers, and thereby suggests that the local economy was somehow tied to the broader Hittite sphere of influence. Such connections are also suggested by a pottery vessel handle stamped with a seal bearing Hittie hieroglyphs.